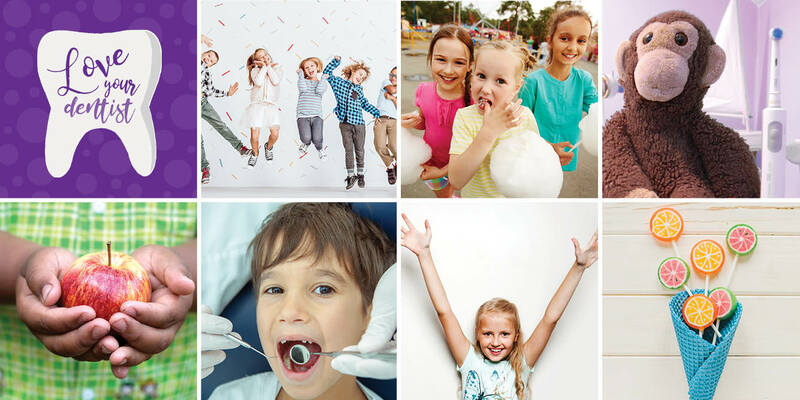 Peterborough’s only clinic with a pediatric dentist! When a new child is welcomed to the family there is so much to think about. Parents are often overwhelmed by the amount of new information given to them — one of these concerns is often regarding their child’s dental health. Although children don’t get teeth until approximately six months of age, some of the habits formed prior to the teeth erupting can affect the baby teeth and health. 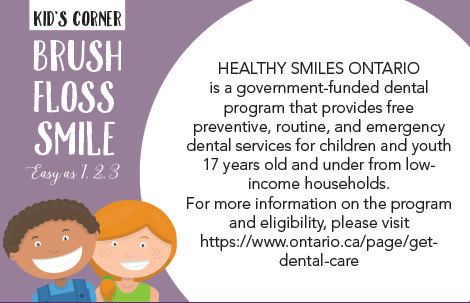 We see children at any age and are able to take a brief look at the child’s teeth and then advise parents on feeding habits, cleaning habits and when to start seeking regular dental care for their child. As children get older we begin to familiarize them with the dental setting by showing them how the equipment works and playing games at the office. This allows the child to understand what is happening in the office and give them a feeling of security and comfort when they come to visit: a solid dental foundation from which your child will benefit over their entire life. You’re in good hands with Dr. Kang, our pediatric dentist — the only one in the Peterborough area!